An Australian company and Italian inspiration have come together to help the violin, one of the most beloved instruments in the world and a symbol of the care and skill of great artisans, evolve while maintaining the highest quality. The earliest violins were made in Cremona in Northern Italy in the sixteenth century. Names like Stradivari and Guarneri are amongst the most well-known of the early masters from the region and their surviving violins are both irreplaceable works of art and some of the most priceless musical instruments. Violins have been popular throughout history because of their small size and pleasing tone and today are still one of the most popular musical instruments in the World. The Glanville family has been supplying stringed instruments to Australian musicians for twenty six years and with Biesse as a partner, is set to continue the tradition of quality and craftsmanship in an affordable product. Violins have been popular throughout history because of their small size and pleasing tone and today are still one of the most popular musical instruments in the World. The Glanville family has been supplying stringed instruments to Australian musicians for twenty six years and with Biesse as a partner, is set to continue the tradition of quality and craftsmanship in an affordable product. The Sydney String Centre in Chatswood, a district north of Sydney, is one of a very limited number of suppliers of stringed instruments in Australia. There are only a handful of specialist luthiers producing limited numbers of instruments in the country; the majority are now imported from Europe or Asia. Locally hand-made instruments are of the highest standards but are time-consuming and costly to produce, and often out of the reach of most people. David, a luthier, and Carmel, a music teacher, saw the need for a range of instruments designed for everyone from school children to professional musicians and started a business in Naremburn in a single car garage in 1990. The Sydney String Centre has always focused on attention to detail, quality products and excellent assistance. The company aims to provide a quality product at an affordable price for anyone who wants to enjoy playing the gentlest of stringed instruments. The imported product is finished by David Glanville and his team of skilled luthiers and is professionally set up and fine-tuned for the highest quality sound. 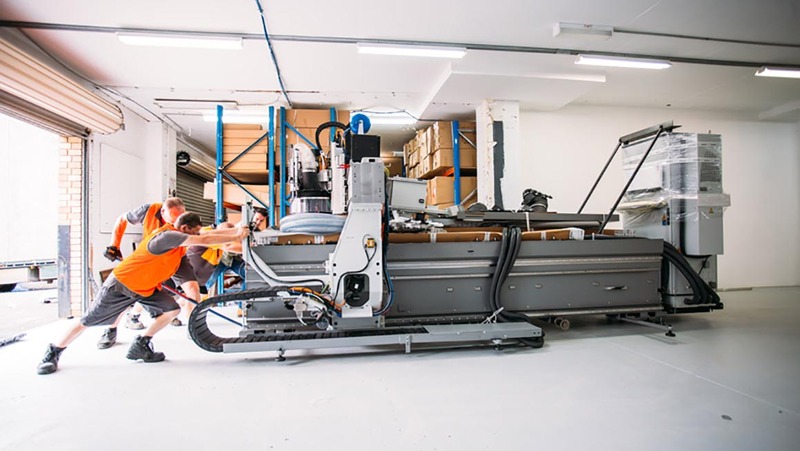 To take complete control of quality and to provide a faster, more customised service; David and Carmel agreed with daughter Libby and sons Doug and Max to invest in technology, taking the Sydney String Centre to a whole new level. The plan was to be the first violin manufacturer in Australia to use advanced manufacturing, combined with their high-end luthier skills, as Doug explained, “We treat all of our customers the same way, whether it’s a student or concert musician playing on the World stage. It’s important that they have the best quality for the price of the instrument and that they experience our company at its best". 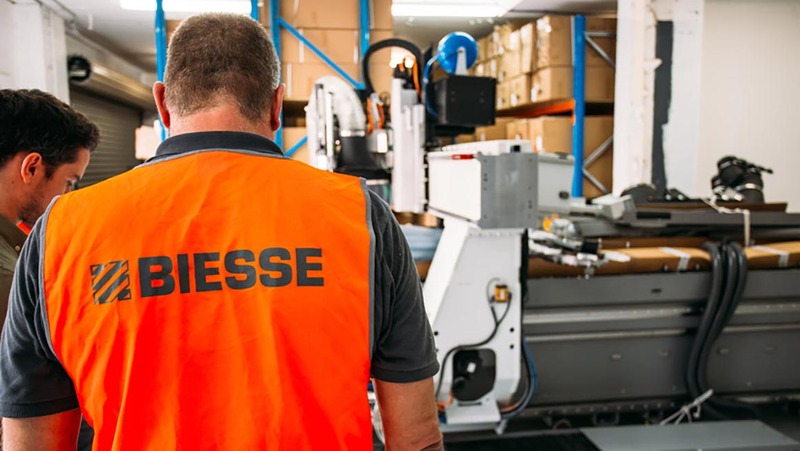 The transition to manufacturing would not have been possible without the impressive talent of the Glanville family and without Biesse, who came on with an significant role as the company's technological partner. 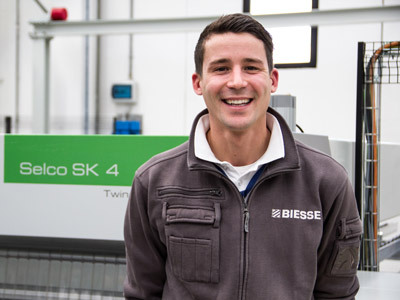 As Max put it, "We produce small numbers of high quality instruments, but with Biesse we realised we had a chance to bring part of our overseas production back to Australia. We chose Biesse because we’d heard only good things about both the product and the software. 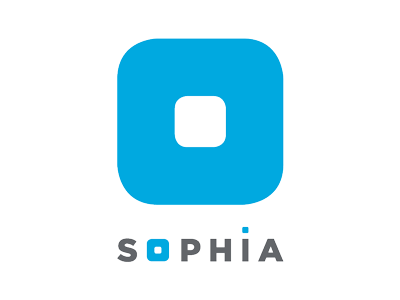 As an industrial engineer I’m excited about the possibilities good software brings. 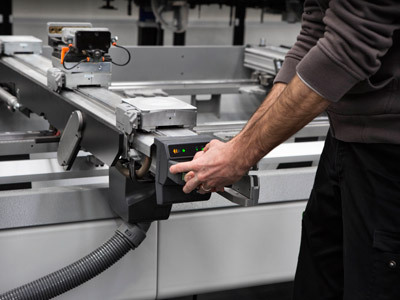 We can now control every phase of production for a higher quality product”. When the Glanville family started looking for a supplier to provide the machines they needed a year ago, they asked one question: how could they produce a quality product in Australia, given the elevated cost of labour? The answer came with a visit to the factory in Pesaro for a test before the companies decided to work together. A number of parts were processed on custom-made jigs and Biesse made every effort to ensure that any concerns that Max had were put to rest. "During our visit, Biesse gave us access to all the high level specialists they have, which helped us get the results we were looking for even going beyond our highest expectations". Young Australian designer of the year winner, Max was able to fully explore the possibilities of the bSolid software and run the 5-axis Rover A machine to the full extent of the product requirements. For Max, the ability of the software to visualise the complex parts such as the shaped front and back; the neck and beautifully carved scroll was outstanding. The ability to simulate in real time and space the manufacture of each part was a fantastic solution. “As an industrial designer, the bSolid software allows me to push the boundaries of a centuries-old craft". This was the last tick of the box needed for David and Carmel to make such an important investment. Max likens a stringed instrument to a supercar or a fine watch where parts are made on machinery but assembled by hand. 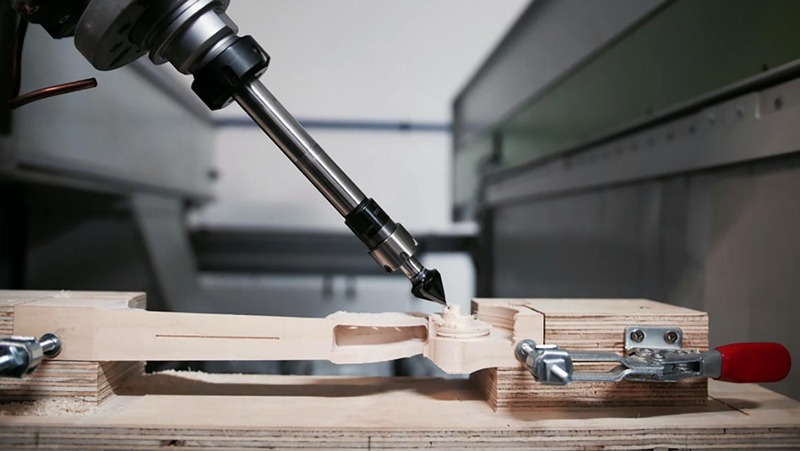 "Not only did we need a machine that would be able to produce the complex parts needed for the high level of precision we hoped to achieve, we also needed it to use tools with small diameters to machine the piece as much as possible, especially the scroll". A violin is a work of art and we believe we can produce art on an industrial scale; that craft can be machine-made. Part of the artistic transfer is the ability of the Biesse to produce parts with tolerances that would normally only be done by hand. You can make anything on a machine, but it’s what we can explore with our Rover A that I find most exciting” says Max. "Quality is very important for us; we’d like to be remembered as the modern innovators of violin manufacturing in the world. We need a flexible production process both to be able to make changes and because we need to offer our customers prompt service; we need to be able to produce small batches at a good price. The Rover A will give us that flexibility and a competitive edge” Max said. The first four-string violin is credited to Andrea Amati who worked as an apprentice for some of the great violin makers in history. It’s fitting that his home town of Cremona is a mere 300 kilometres from Pesaro, the home of Biesse. It's fitting for Biesse to help carry on the tradition these great masters are continuing in the modern world. And both Doug and Max agree: "Our instruments are based on classic Italian designs and now Italian technology will help us break new ground here in Australia". Art meets technology and becomes accessible for all: now that's the "perfect chord". As an industrial designer, bSolid software allows me to push the boundaries of a centuries-old craft.